Have you been crushing on a guy and waiting for him to ask you out? Are you starting to wonder if it’s a lost cause because you think he doesn’t seem to want to be more than just a friend? Have you met up a few times accidentally on purpose in the hopes he will bust a move? Are you starting to feel like a stalker instead of the woman of his dreams? Do these questions sound like the thoughts that have been going through your head for the last few weeks, months, or even years? Don’t give up just yet, because the advice you are about to learn will show you just how to get a guy to ask you out without him even realizing that you’re doing it. Before he even realizes it, he will be infatuated with you and have a burning desire to be with you on a regular basis. The art of flirting is not lost on men and can give a guy the confidence boost he needs to finally ask you out. Flirting feels great for you and even more so for the object of your flirtations. It allows you to express your interest without having to spell it out for him and in turn makes him want to take things further. Not sure how to flirt? It’s easy! All it takes is a twirl of the hair and touch of his arm while you’re chatting, and holding his gaze for a few seconds before looking away. Also try to lean over and whisper something in his ear that is not to provocative yet still implies something that can only be shared between the two of you. Men are drawn to a woman’s smile and laughter because it makes them feel good. Who doesn’t prefer to be around someone who’s happy and fun to be with? Smiling and being happy makes you approachable and more attractive. It gives the impression that you’re fun and easy to be around. It also shows interest. When you smile at a guy he senses that you’re happy to see him and makes him want to see more of you and that smile. A guy is a lot more likely to ask out a girl that appears happy and open than one who seems cranky or uptight. Smiling evokes confidence and every man is attracted to confident women. Dressing to impress or attract a man begins with dressing for yourself. Forget about changing your appearance to what you think a man might want because you’ll end up feeling uncomfortable and look like you’re trying too hard. The key is to show off your best features and wear what makes you feel beautiful because that’s what will show on the outside and make you hard to resist. Like your hair? Wear it down to show it off. Like your eyes? Choose makeup that enhances your eyes instead of overpowering them. Like your curvy shape? Then dress in clothing that skims your curves without being too obvious. Remember, you are special and he needs to see it. Look good, feel good, and he’ll want to be around you. Women love to talk and unfortunately, you sometimes say way more than you should. If you talk incessantly and tell him too much about yourself, it doesn’t leave him a whole lot of incentive to ask you out so that he can get to know you better. Share an interesting tidbit or two about yourself, perhaps talk about something that you both have in common and then stop yourself from going on. You want him to get to know just enough about you to pique his curiosity and get him interested, and then leave him wanting more. This way he has to ask you out to get to find out more. If you’re sure he’s interested but can tell that his shyness or inexperience is getting the better of him, make it easier on him by giving him an opportunity to ask you out. You can do this by bringing up where you’ll be on the weekend and asking if he’s ever been. This gives him the perfect opportunity to ask to come along or suggest that you go together sometime. Or perhaps there is something you own that needs to be fixed or repaired that only he can help with. If so, then set up a time and place to allow him to be the knight in shining armor. There’s nothing like some good old fashioned competition to get a guy going. By talking to other guys in front of him, he’ll get the sense that you’re “in demand”. This can make a platonic friend see you in a whole new light or make a guy who was otherwise indifferent or unaware of you take notice. Seeing other men paying attention to you will make him instinctively want to vie for your attention and win you away from the other seemingly interested parties. Don’t be too obvious by talking loudly or staring at him while talking to other guys. Instead, play it cool and smile a lot so that you radiate confidence. Your body can say a lot and you want to be sure that it’s saying all the right things. When we’re nervous, we tend to cross our arms and close ourselves off in terms of our body language. Be aware of this so that you don’t send the wrong message, like “Hi, I’m an intimidating b*tch that you need to stay away from”. You want to come across as open and approachable, and your body language can help you do that. Be relaxed, stand with confidence, and lean in to express interest when he speaks to you. Don’t let your body language work against you and what you really want. It may be nice to have the support of your friends, especially when you’re nervous and in the throes of a crush, but being with them can stop him from making his move. Guys are often intimidated by a girl who is surrounded by a group of friends. And asking her out and risking rejection in front of a gaggle of girls? Forget about it! If you want to better your chances of getting him to ask you out, then you need to step away from your friends now and then to create a less-intimidating opportunity to ask you out. Figuring out how to get him to ask you out isn’t that difficult when you make the effort to open yourself up to being asked out. Create incentive by looking your best and showing him that you’re fun and easy-going, and someone worth asking out. 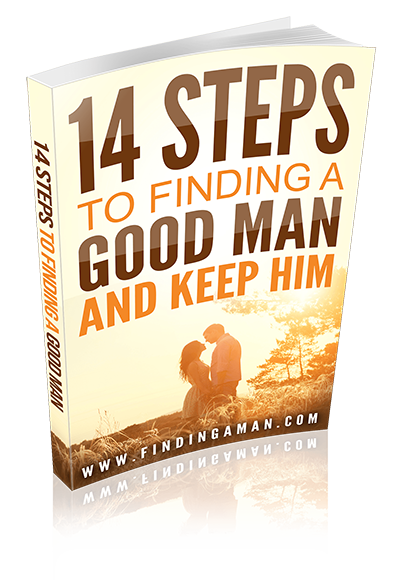 Let him get to know just enough of your fabulous self to leave him wanting more. 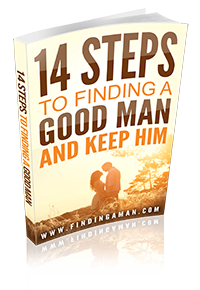 You can also help him along by creating an opportunity for him to ask you out since, let’s face it; asking a girl out can be nerve-wracking even for the most experienced of guys.